With a modest understanding of money, currency, and FOREX, the next step in building a trading strategy involves breaking each component down into its mechanism. Here, distinctions between money and currency tend to blur. With concentration, we can maintain differentiation to develop more profound interpretations of intermarket events. Today's money consists of cash and book entries. Both use common denominations or units. U.S. money begins with the unit of currency called the dollar. This is fractionalized or multiplied as required to refine purchase prices. The fractions are on a base-10 system beginning with 1/100th of $1 called the cent ($). The physical representation of 1$ cent is the penny. Cent is the unit, whereas penny is the coin. Five cents is coined as the nickel. We are still dealing with the cent, but our physical money can be either 5 pennies or 1 nickel. Of course, 10$ is a dime, 25$ is a quarter, and, oddly, 50$ is a 50-cent piece. I indulge in this elementary-level exercise because it is exceedingly important to make the leap from fractional units to currency units. 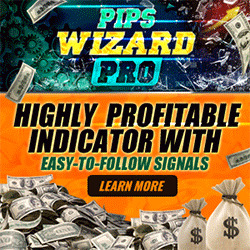 The entire process of FOREX trading is based upon common fractional values known as pips. A pip is the common denominator between currencies much like the cent is the denominator for the dollar. While writing this text, I could only identify one U.S. product where domestic prices were quoted in fractions of a penny. Perhaps you can identify more. What is it? For some strange reason, U.S. retail gasoline is priced ending in nine-tenths of a cent. I've always wondered why this is always rounded up to the nearest cent. Who is keeping all those one-tenths? Those familiar with Charles Dickens' novel Great Expectations might associate the word pip with that book's central character. We less-literary folk must direct our attention to the last significant decimal of a quoted currency. Again, this seemingly simple definition takes on monumental importance because pips determine the most common intraday and interday spreads and are also used to price transactions. The spread in pips can be the market maker's commission and, thus, your trading cost. As we will discuss in further detail, the pip is used when currencies are quoted against each other in the cash, Interbank, or electronic spot FOREX markets. When the reciprocal is correlated to the dollar in U.S. futures and options, the pip disappears. Each marketplace has its own language and structure. Once you understand each market's operations, including its advantages and disadvantages, you can make an educated decision about how and where to participate. When conducting seminars on FOREX trading, I often draw the parallel between components like money or currency and quantum physics versus cosmetology. Admittedly, this correlation is a scientific stretch and is not intended to infringe upon the territorial imperative of our most brilliant academicians. 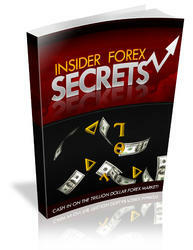 FOREX trading does not require the CERN particle accelerator to identify its inner most workings. However, the perspectives are similar to emphasize a FOREX trader's required multiplicity. The tiniest particles within our universe were born out of the greatest cosmological event presumed to be the Big Bang. Money is derived from the most fundamental human premise—faith. This faith that money is, in fact, valuable must be governed by multiple facilities that include government treasuries, central banks, commercial banks, consumer banks, specialty banks (savings and loans, credit unions, government lending institutions like Fannie Mae and Freddie Mac, and so on), the International Monetary Fund, and international currency markets. In addition, each sovereign's taxing authority plays a role in the amount of money citizens have available to spend and the amount governments have to spend or waste as they see fit. Each link in money's governing chain plays a role in determining value. Relationships between money institutions such as banks, coupled with the monetary policy of the governing institutions like the Federal Reserve or Treasury, determine the money supply. When correlated with demand, money establishes its value relative to domestic goods and services as well as its value as international currency.